Digital Transformation does not just mean moving your legacy IT systems to new applications. It impacts the very foundation of the business: from the infrastructure to the operating model. It touches every aspect and function of your business, be it procuring and resourcing, paying for human resource, sales, marketing or technology. Each business embarking on this journey of transformation, goes through a radical change, but, true transformation occurs only if your customers can see it! At BluePi we help our clients understand the future of their transformation process and then support them to evolve through it. We help you envision the tomorrow so that you’re not just ready for the change, but lead it too! Are all my applications ready to leverage the true benefits of being on cloud? Am I using the right platforms to help remain nimble, get continuous feedback and keep innovating? Am I supported by the right kind of infrastructure and processes that lets me lead the change? The tendency to continue using legacy applications for the fear of messing around with business-critical functions, can cause more long-term harm to your business than you probably thought. Apart from high maintenance costs, the legacy applications might be hindering progressive enablement and integrations. Moreover, sooner or later, you’re bound to face a shortage in skilled resources to help keep them running – people, quite simply, don’t like to work on old technologies, you see! At BluePi we help you move on, helping you adopt cutting-edge technologies and embark on a digitization process. And there’s a method to it; ensuring that no stone is unturned! We start with assessing your app portfolio, planning the architecture, re-engineering it if required, before moving on to migration, deployment, and integration on cloud, using the DevOps philosophy, throughout. At BluePi we help you digitize all your processes and achieve economies of scale, by helping you make the right platform choices. A good, solid, platform is known to cut down your current IT expenses significantly and reduce Time-to-Market drastically. Over the years, BluePi has helped clients reduce Total Cost of Ownership (TCO) and achieve a high level of performance by helping adopt the right Platform strategy – whether using Platform As A Service (PaaS) model or building one for yourself, right from the scratch. Platform as a service is known to reduce the load of long development processes and associated costs. BluePi has experience in managing high-end PaaS like Bluemix or Pivotal Cloud Foundry that come fully loaded with pre-built services, middleware, and frameworks, propelled by Agile methodologies. 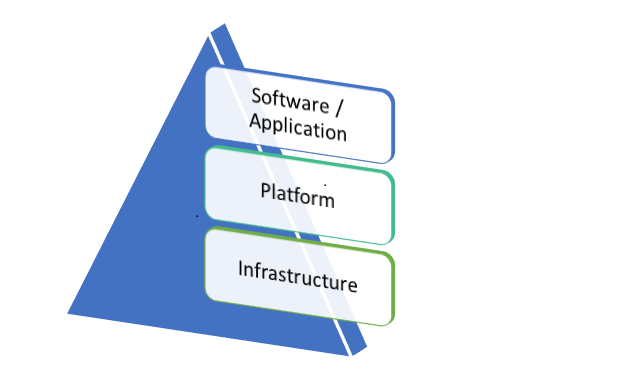 A solid infrastructure forms the foundation on which you can use platforms to build wonderful software or applications. A bad infrastructure negates the whole experience and conversely, a good infrastructure is nothing without a solid platform letting you build well-designed applications. It just doesn’t end with applications, platforms and infrastructure, does it? If your processes are not flexible enough, and not driven by modern frameworks and Agile methodologies, no amount of digital transformation is going to yield results! At BluePi, we identify the key processes, their success factors & end-points and work backwards from there, to fully automate them. We also help build required capabilities on-the-go, and help you move quickly toward delighting your customers and improving the bottom-line at the same time.